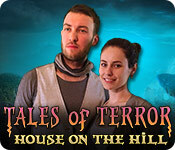 Tales of Terror: House on the Hill is rated 3.8 out of 5 by 30. Rated 5 out of 5 by Deejaycee522 from Fantastic Game This game was not easy to play because it turned out to be very challenging. You really need to put your thinking cap on. The graphics are very good. The sound is very good. There are many, many clues to find. These clues are needed in order to move to new areas of the castle and the castle is big. There is a hint button that works well most of the time. However, there are many times when the hint button will not show you everything. There is a map which comes in handy. The game uses live characters who also give you clues throughout the game play. I had no disappointments. This is a great game and worth the money. Rated 5 out of 5 by movieticket651 from Well done!! I began playing Nancy Drew games years ago. That is my favorite style of game. 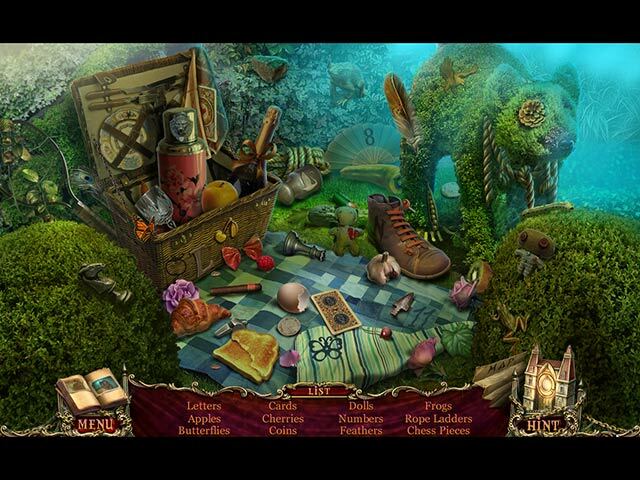 This game is similar, with very few hidden object scenes, a good amount of puzzles, and a fair amount of dialogue. I like to feel like I am "solving" and "discovering". This game is good for that. Nice graphics, decent music and sound effects. I played it in easy mode, and it was just that. If you like more of a challenge, I suggest playing in another mode. I hope you have as much fun as I did. Rated 5 out of 5 by mlw14 from Loved playing this game! I love these types of games. I think that the storyline was very interesting and compelling. I used following the story without getting bored. The games were easy to challenging and varied. I loved the game. It was so fun it was over to quickly. Wish it was longer. Great graphics, sound. Visually stimulating. Rated 5 out of 5 by mrm2006 from Cloaked Figures, Ever-Shifting Walls and a Haunted House That Grows! I played the CE demo and purchased that version but also played the SE demo and was left with 45 minutes to spare. I still think it's going to be an awesome game to play. And I do not give out 5 stars that easily. Opening Scene: There is a young man running for his life - doors are locked - he finally gets outside but is swallowed by a black fog and dragged back into the house. You later find him in a room being attacked by a plant. Storyline: You (Sophia) and your sister (Hope) decide to go on a bus tour of haunted houses. The last stop on the trip is the "House on the Hill" (Sound familiar? Yeah, thought so.) Apparently, it was only recently opened by the owner, and you are there on "Opening Night". You are there only a moment when you hear a scream and watch your sister disappear behind a wall while there stands a black shrouded figure. Now you are determined to go through this Haunted House, find her and GET OUT! Graphics: Can you say...only AMAZING!? The characters are so real, as if you were watching a home movie - THAT real. The way they move, and talk (tonal quality as well as lip syncing and body movement - I LOVE games like this. And it continues through the game play. Thank you devs.) The mansion is stunningly beautiful from the outside. I repeat - from the outside. Colors gorgeous - greens of plants, rust color of sign over the driveway announcing the house's name. Colors of clothes people are wearing - all amazing. . Sound: My puppy is now 7 weeks old (she was rescued at 6 weeks) so I kept the sound to a minimum. The sound effects are amazingly real and spot on. Doors creaking, sounds of ghosts (?) moaning and crying and spirits (?) talking (to each other?). At one point, I remember thinking "wow, creepy". Very good sign - lol. I do love the creepy. Game play: You trying to find your sister, Hope, whom you've last seen on an outside ledge where a man with a bloody ax is stalking her. You will come across characters who need your help. For instance, a man who was going to buy the house with his wife but was locked inside with no way out and is now being held on to by the tentacles of a plant - rescue him. The tour bus driver, find his heart medication - quickly. So, it would appear that you have "quests" to complete to gain information about how to find your sister. But, then you come across a hallway intentionally in flames and a man accusing "YOU" of never harming anyone again. Is he actually referring to "you" or "you" in general meaning the house? THAT is only one of the mysteries you will come across and attempt to solve. The HOGs are moderately easy. There is a random click penalty. So far, all I've come across are itemized lists, with some interaction necessary. Nothing dark, nothing tiny. Even the sparkles were beautiful. Mini Games: The ones I came across were definitely not easy but the instructions were very specific. The "skip" button takes a definite while to charge. I skipped through for the most part to get back into game play. I was hooked on the CE already - lol. There are 3 modes of play: Casual, Expert and Professional. You have a diary which takes a lot of notes but there may be clues in reading. The hint button is in the form of the haunted house you are in. And it recharges faster than I've ever seen one recharge before. You eventually get possession of a map (you have to find it) which is not only transportable but shows you where you currently are and where you need to fulfill an objective. I anticipate a longish game as the map shows a first and second floor as well as a basement. There is a short tutorial. I so thoroughly enjoyed the CE AND SE versions of this game - I am glad I purchased the CE version when it came out; however, that "WOW" factor I always look for in a game was definitely in the SE demo as well. If the SE had come out first, I'm sure I would have purchased it at that time. This Glam-ma says please try this game. I hope you enjoy it half as much as I did. It's free and you get an amazing 90 minutes of game time. Happy Father's Day Weekend and Happy Gaming to All! Rated 5 out of 5 by pennmom36 from What Are You Afraid Of? You haven't seen your sister, Hope since college and she loves the paranormal, so a haunted house tour sounds like the perfect gift, right? Wrong, everything about this house is so very wrong, so very haunted! You soon find out that the house has it's own agenda, this house grows in size and power as it feeds upon your fears, can you control your fears long enough to rescue your sister who has been trapped, along with the rest of the haunted house tourists? Even without the bells and whistles of the Collectors Edition, this is still an over the top game about a house with attitude that feeds upon it's unsuspecting victims phobias. You begin to realize that this haunted house has been morphing for centuries, and somehow manages to show up in different locations all over the world! The house can't work alone, a strange cloaked figure with red eyes is the entity responsible for delivering these tasty frightened meals such as Sam who thought the person he was meeting was a legitimate realtor. Now Sam is being tormented by evil carnivorous plants preying on his fear of plants, and even the tour guide, Mr. Peterson is fueling the fire with his claustrophobia and panic attacks! There aren't a lot of Hidden Object Scenes in this game, they are interactive and they do repeat in the same scene. The first HOS has listed items and when you click on the item it doesn't disappear, it just moves over to reveal a pie shaped piece of a token. When all the items are found and the token is completed, the token will fit into a slot to open up a secret compartment. The repeated HOS just has listed items that vanish when clicked on with slight interactions and a creepy one eyed boy doll who keeps watching your every cursor move! The mini games are pretty easy, definitely not frustration such as completing a painting by using the clues given on a patterned picture. One of the mini games I enjoyed the most was moving a token with a key from left to right without touching any other token by using directional arrows, but, some tokens were stationary and other tokens would move either up or down with each move your token made. The graphics are well done, with a dash of creepy and a whole lot of moaning and ghostly chatter in the background. This game will touch upon just about every phobia out there, so beware, there are going to be spiders and snakes, fire and brimstone! Let's overcome our fears and starve this evil house, enjoy! Rated 5 out of 5 by micheleappleyard from The Haunting! Like the story line. Not just a haunted house. It's a bit different. You can play in professional mode for no help. Sort of. You can still click on the map and see what needs to be done in other rooms. Over all I'd say thumbs up! Rated 5 out of 5 by rosekaufmann from ENTER AND NEVER RETURN TO YOUR LIFE SUMMARY: A fetching story about a haunted house that appears out of nowhere, where anyone entering never escapes and which moves itself. The diary will give you backstory. A wonderful adventure with quite a lot of intoxicating puzzles and a few HOS. A fun adventure. I recommend buying the SE as the CE is light on values needed to buy it. IF YOU WANT MORE DETAILS, HERE THEY ARE: ADVENTURE: Your sister is suddenly trapped and disappears behind a door with a strange man, while the room morphs, closing all exits. The house is haunted: it's full of traps, constantly shifting walls, people disappear (usually leaving no trace of themselves), and you run across a man who disappeared in the same house in another state last year and tells his story. 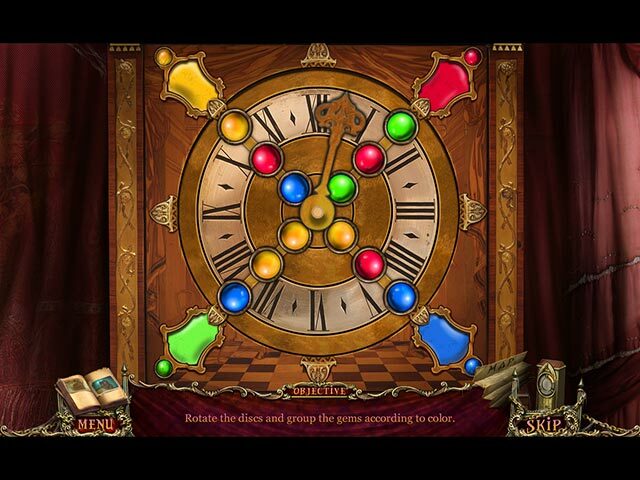 PUZZLES: There is a large variety of puzzles and mini-games, ranging from fairly easy to very challenging. I actually gave up on the first mini-game (getting a key to the lock on the opposite side of the board, which is very unusual for me). But I was able to solve all the others. The puzzles aren't the usual run-of-the-mill puzzles either. On casual, the skip rate is rather fast. On the hardest level, there is no skip. HOS: There aren't too many HOS but there are many puzzles. Some of the HOS are interactive (such as revealing a piece of a puzzle needed to open the final object to find the last item). Scenes are not too crowded and objects are clearly visible though many are well disguised. OTHER STUFF: 3 modes of play: The hint and skip buttons recharge fairly fast in casual play, but there are no hints or ability to skip puzzles on the hardest level. Read the journal, because it adds a bit of backstory as you play. Map is interactive, so even though there may be quite a bit of back and forth, it is not a chore. Terrific graphics and animation. Enough rooms that it seems to be an average-length game. Rated 4 out of 5 by cejene from Good Story I enjoyed the story but the ending should have been better. The graphics and music are very good. Very easy, so for someone who likes to relax during game play or for children. I would recommend this game for the story. Rated 4 out of 5 by ninja226 from Enter at your own peril Who pays $50 to take a tour of a haunted mansion to get spooked? Not me, but you can get your thrills playing this fun HO game. 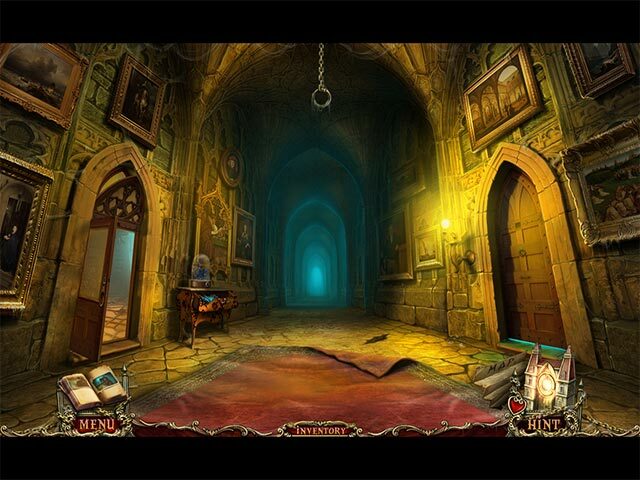 The house is haunted, but not too scary (no blood, no dead bodies), and you will come out alive if you play it right. The visuals are good, even appealing given that it's a haunted house. The actors seem a bit amateur, but definitely relatable. The game is fairly long, most mini games are easy, and there is a happy ending. I recommend playing with Map that tells you where actions are available, otherwise, it makes for a really long game. Without the teleporting map, I'd be exhausted, as you jump from 1st floor to basement to 2nd floor, and there are doors everywhere---it's enough to give you vertigo.